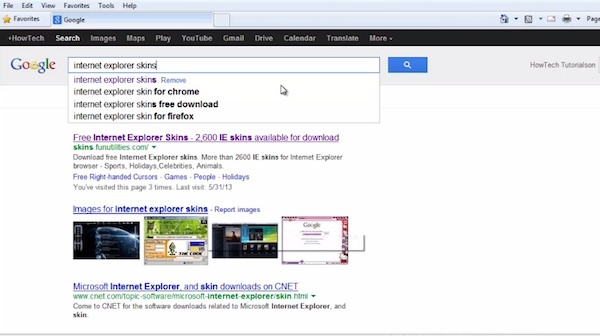 Step 1: Type in Google Search : “Internet Explorer skins”. Click on the first search result. Step 2: We are now on the page called “FunUntilities.” Click “Download” button near the skin of your choice. Step 3: There are free various skin packages online, but most of them require additional software to be installed. We will feature both installation of the skin and additional software. Let’s download and run the Crawler Toolbar in our browser. When the Toolbar is downloaded, open a new Internet Explorer window. 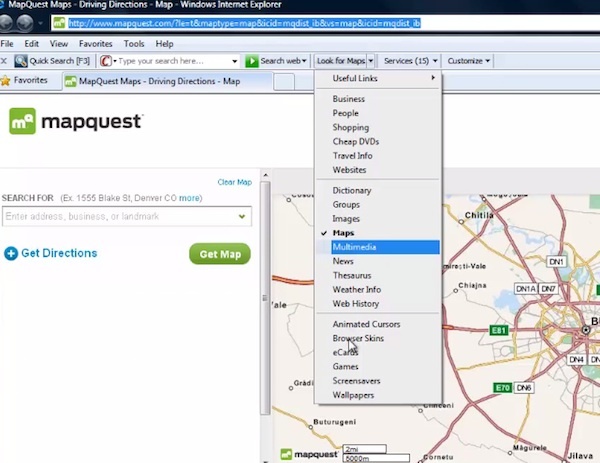 Step 4 : On your Crawler toolbar, click the “Look for Maps” drop-down menu and choose “Browser skins” from the menu. We are choosing again “Lightning” and we click “Download”. The skin will be automatically downloaded and installed in our Internet Explorer. Let’s see the newly installed skin: it looks nice! Result: Congratulations! You have just learned how to change Internet Explorer skins.